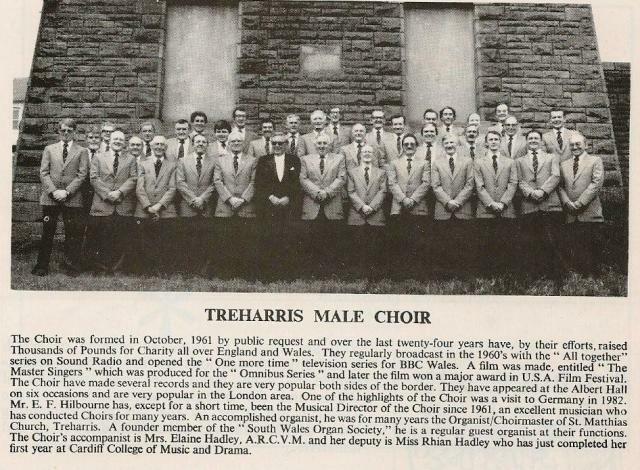 At the start of the 1960’s, the men of Treharris were keen to form a male voice choir. 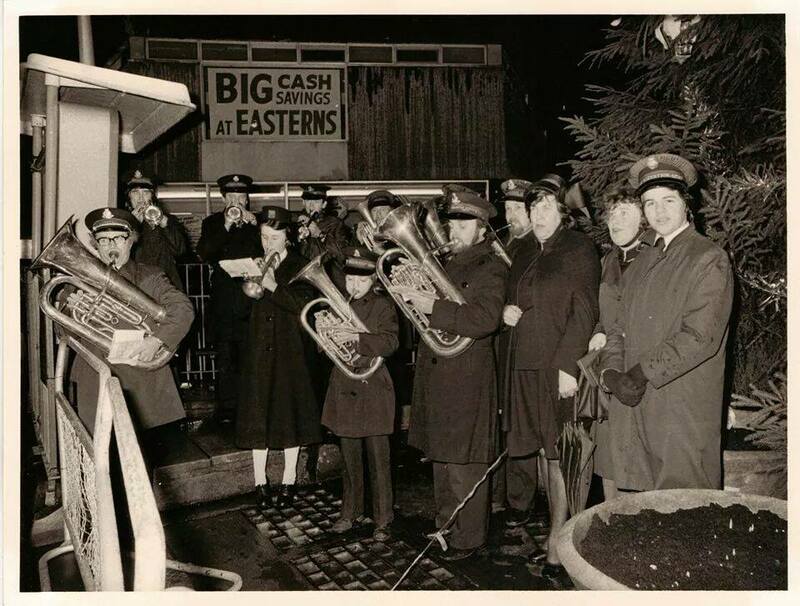 The town was steeped in musical history and there was a definite need to continue the tradition. 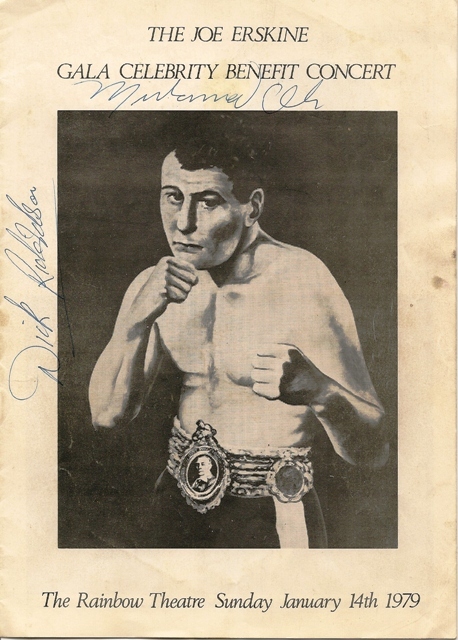 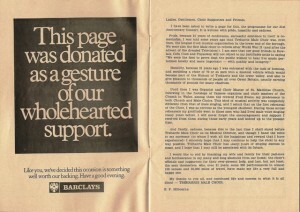 During October 1961, a meeting was arranged to discuss the matter. 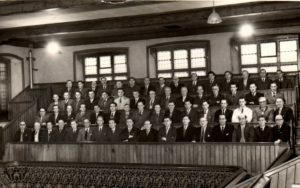 An excellent attendance at the meeting convinced everyone, that a choir was wanted and it was decided to start organising things right away. 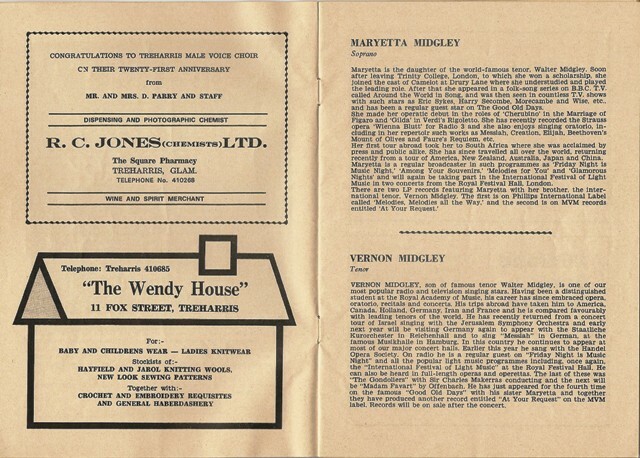 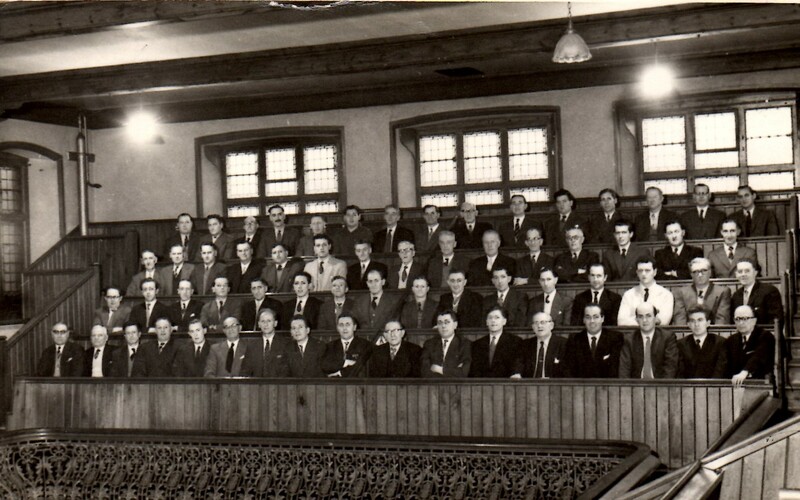 It was decided that regular practice sessions would be required and that they should take place at the Bethel vestry in John Street. 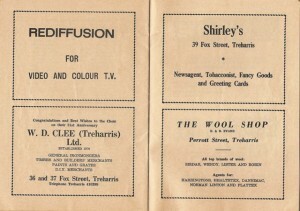 Two major appointments were made; Ted Hilbourne became the first musical director and the choir accompanist was to be David Rees. 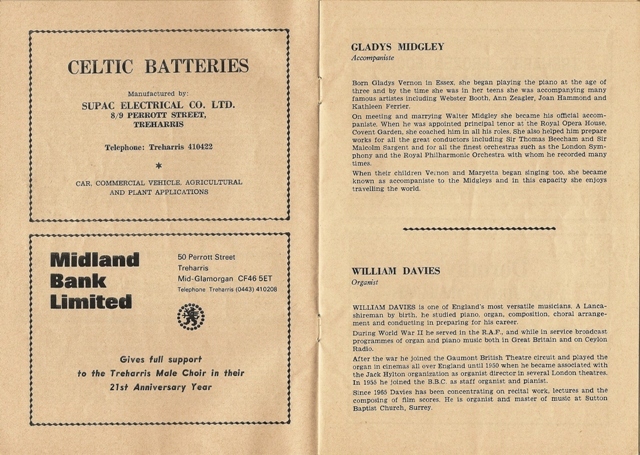 Even though many men worked shifts at the colliery, the attendance at the practice sessions was very good. 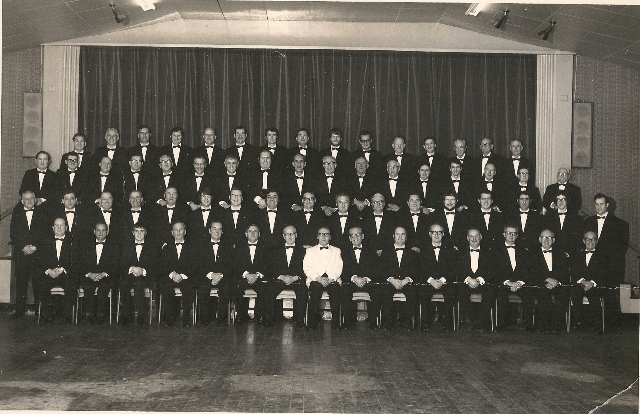 As many as seventy or more would turn up on occasions and the practice paid off, by March 1962, the choir was ready for its first public performance. 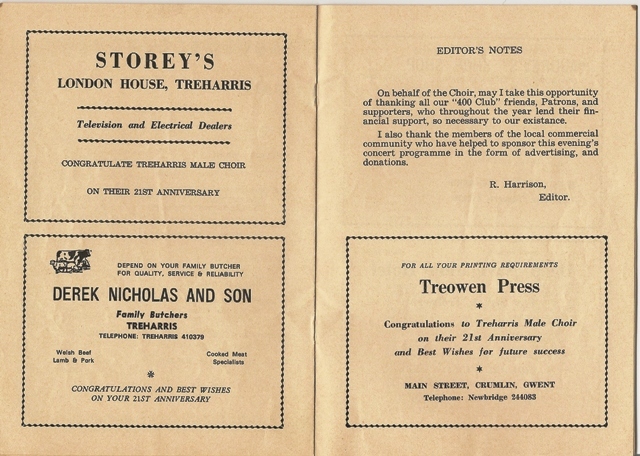 There must have been plenty of nerves amongst the choristers as the big day approached, every ticket was sold and the capacity audience at the Brynhyfryd chapel in Thomas Street were looking forward to the concert. 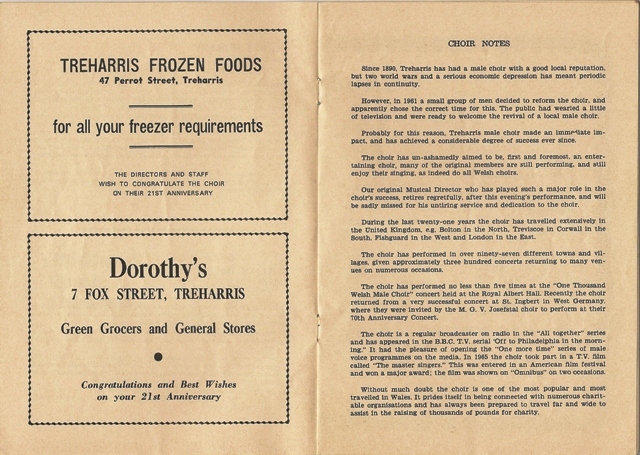 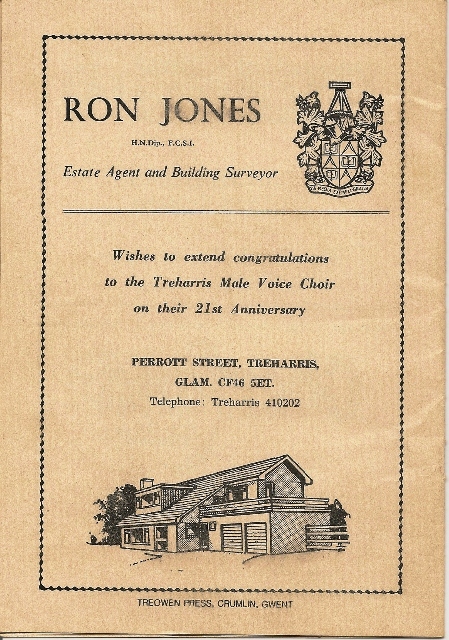 The choir sang their hearts out and were a great success, it was the start of something special in Treharris that still thrives to this day. 1n 1962, Treharris were the only male voice choir in the borough and were in great demand. 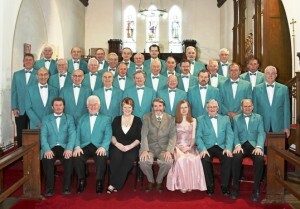 They held a spring concert at the Palace cinema in Treharris that sold out three weeks in advance, it was a celebrity concert and the choir were joined by the Tenor Kenneth Bowen and Soprano Anita Sergeant. 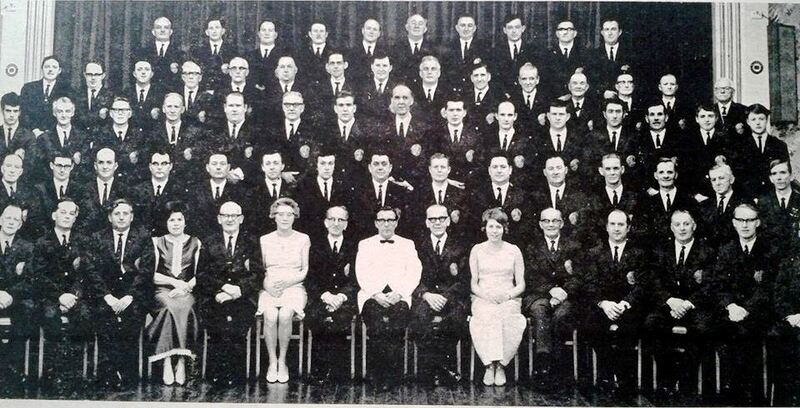 In 1965, the choir finally left Wales to sing at Weston super mare, once again it was successful and many more trips to England would follow. 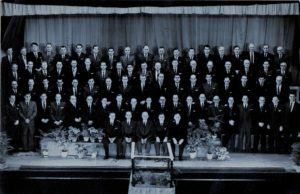 The choir appeared on Television on several occasions in a programme called the “master singers”, it was a tribute film, based on the tragedy mining disaster in Senghenydd in the 19th century. Aber valley male voice choir accompanied Treharris in the making of the film; it won a major award in an International film festival. 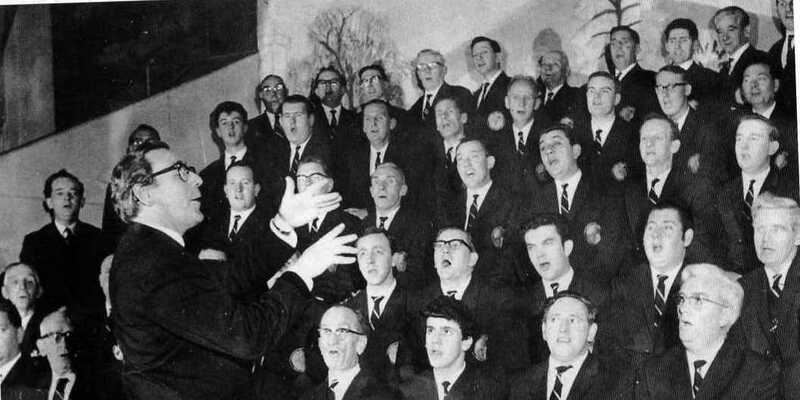 During 1966, the choir sung with Stuart Burrows and Elizabeth Rust, two stars of the time; both singers also volunteered to help the choir raise monies for the tragic Aberfan disaster that devastated the south Wales valleys. 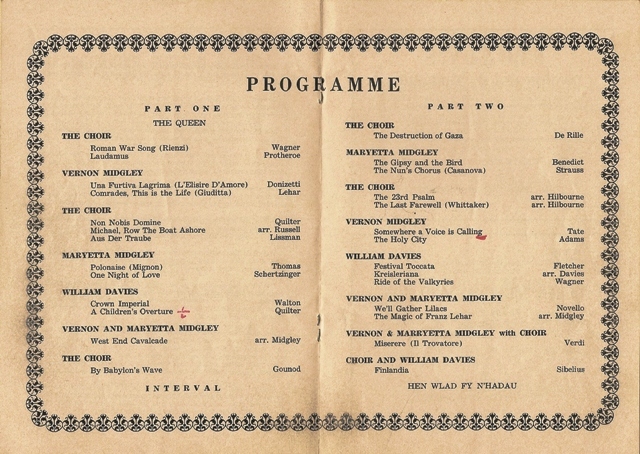 The choir has performed in many venues throughout the United Kingdom, but for their first appearance at the Albert Hal, they held rehearsals for twelve months. 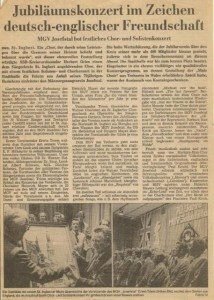 10,000 people attended the concert by combined choirs, 1,000 male voices; it truly was a fantastic concert. 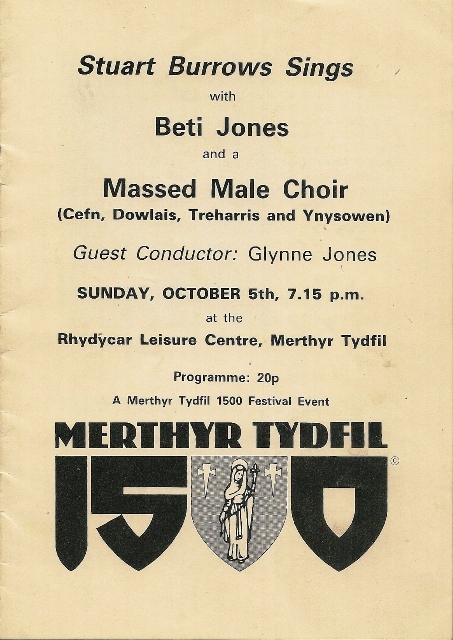 Some of the accompanists who have served the choir so well over the years, following the excellent David Rees include Miss Mary L Davies, W Lloyd, J Ward, Judith Smallwood, Elaine Hadley and Martin Edwards. 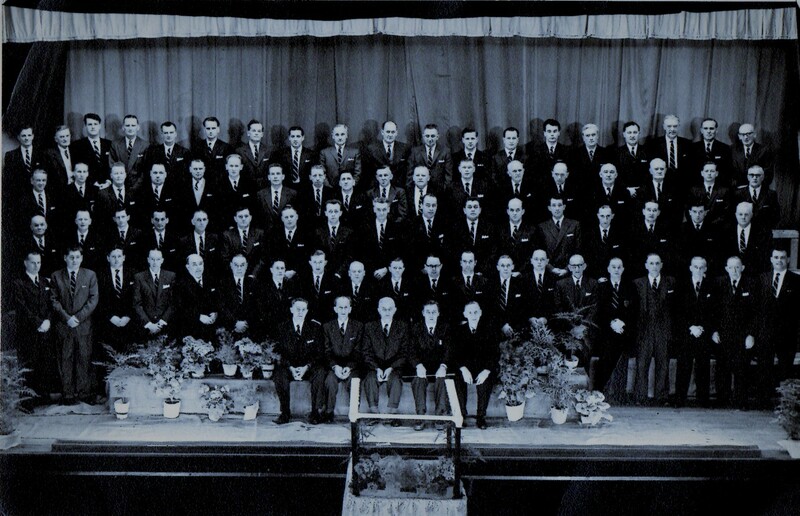 The choir has made many friends over the years and they have lasted to this day. 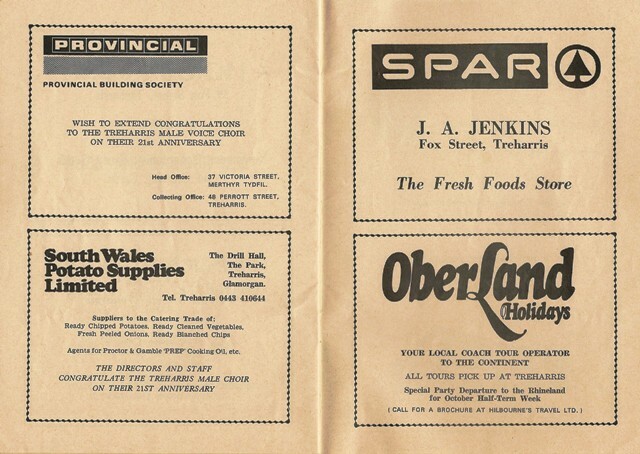 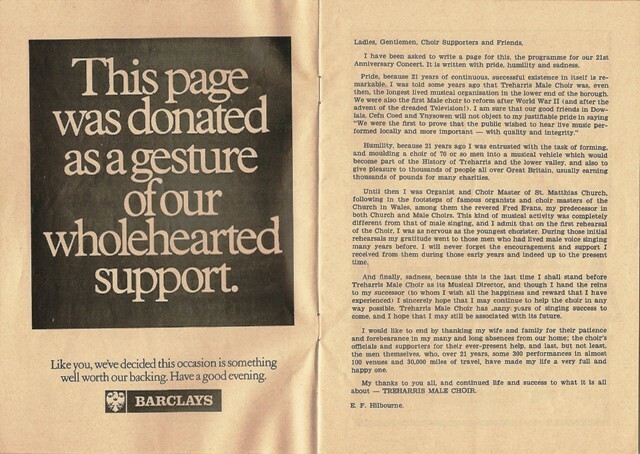 Cornwall and Bolton have special bonds with the choir and of course Watford, where the Leggets School association formed a fan club, which used to travel to the Albert hall to support the Treharris and district male voice choir. 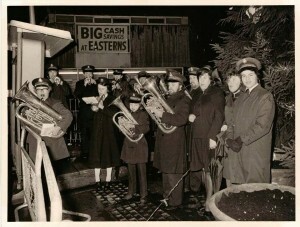 The choir continued through the seventies to entertain and once again appeared on Television, this time in a television re make of the great film “Off to Philadelphia in the morning” They also appeared at a benefit concert at the Rainbow theatre in London for the old boxer Joe Erskine. 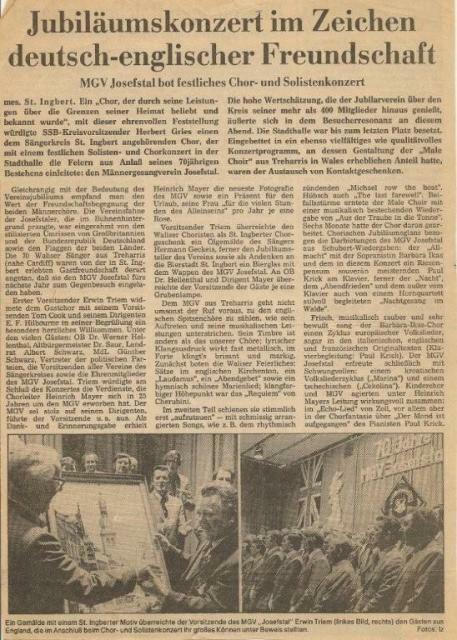 The first over seas concert took place in 1982, when the choir travelled to Saarbrucken, the choir had a wonderful welcome. 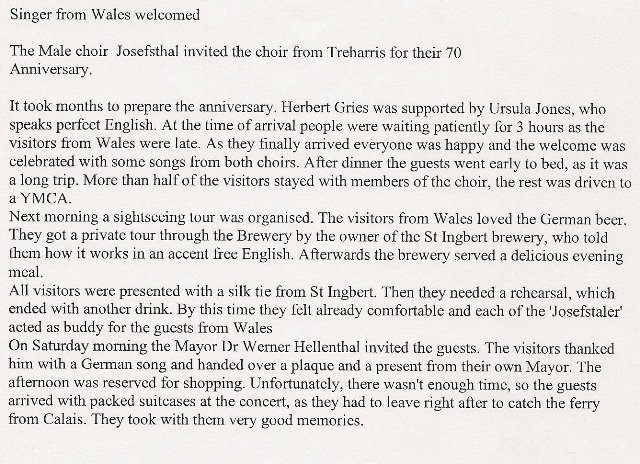 That tour was regarded as one of the highlights of the choirs’ history and once again many friends were made. 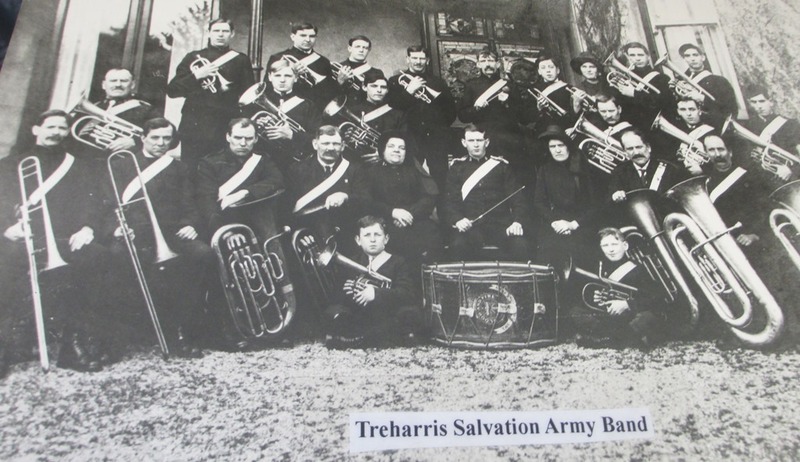 They returned to do concerts at Southan, Bristol, and Bath; it really was a busy time for the choir. 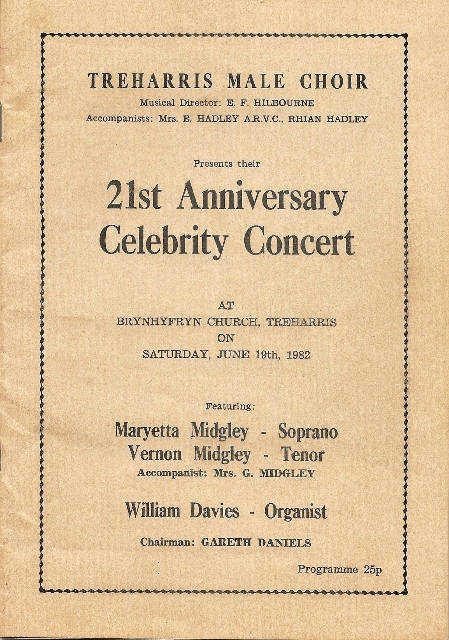 The significant concert took place during June. 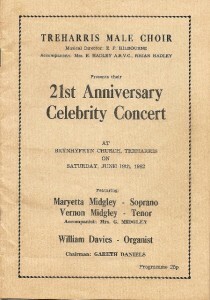 It was the 21st anniversary concert, when Ted Hilbourne conducted the choir for the last time. 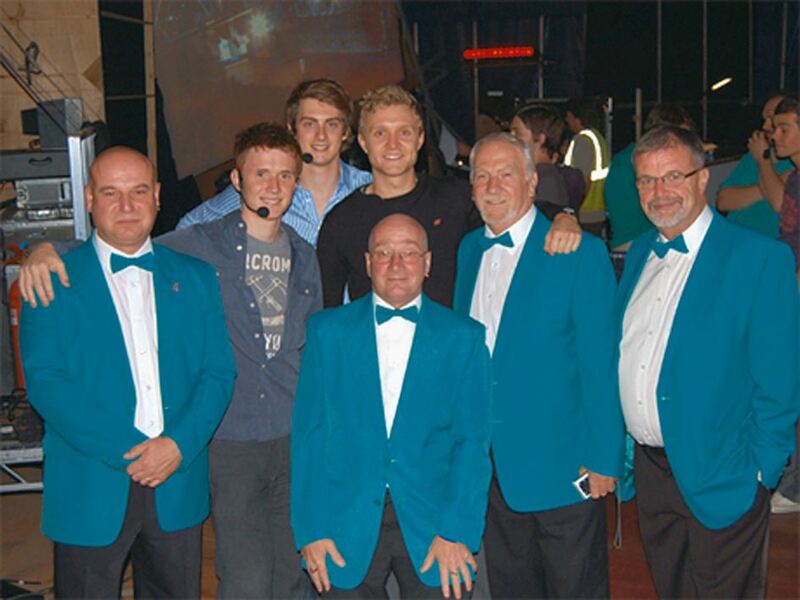 It was another great success and a fitting way to thank Ted for all his hard work for the choir. 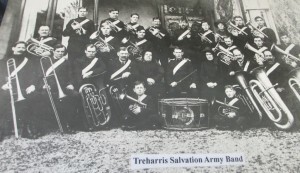 Gwilym Morris became musical director, and the choir continued to be a great success. 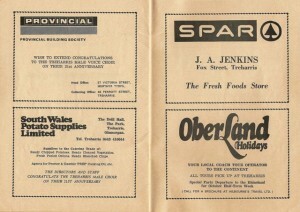 A concert was held for 300 people at the Empress ballroom in Abercynon. 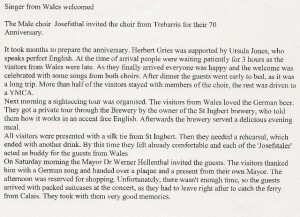 The concert was part of the events that the choir had organised for the visit of the St Josef Stal choir from Germany; it was a very memorable trip and another great success. 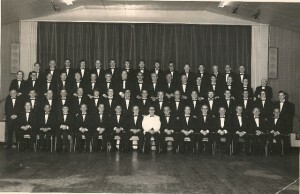 Gwilym had to resign through personal reasons and the choir were grateful once again to Ted Hilbourne who came out of retirement. 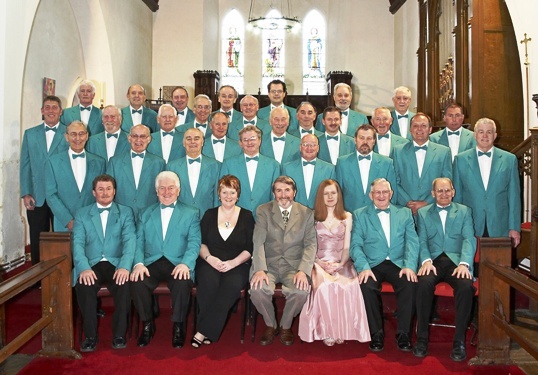 Due to illness Ann M Vines took over as the accompanist for a few concerts, before Elaine and Rhian Hadley returned for a few concerts at Nelson and Bristol and a fantastic massed male voice choir concert at St David’s hall. 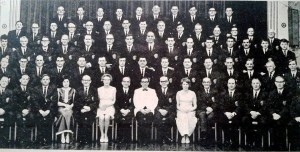 Brian McGrath became the new musical director a, he had a military band experience from his time at Sandhurst, the choir was delighted to have his services. There were less choristers attending at the end of the eighties but the choir still performed regular concerts. 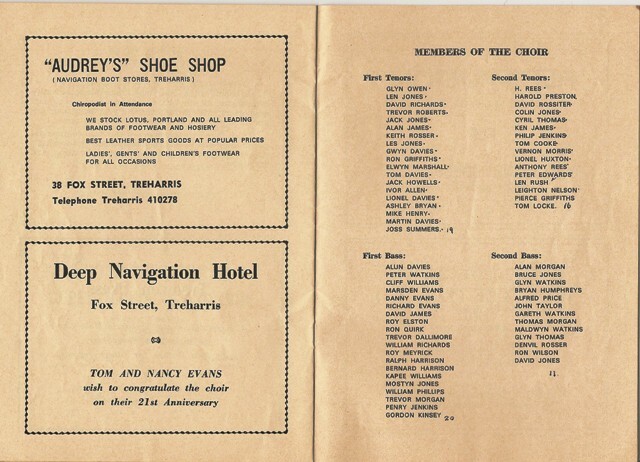 The choir also travelled to the USA, Germany, France and Ireland and by 1997 the musical director was Llinos Evans and the accompanist was Anna Smith of Treharris. 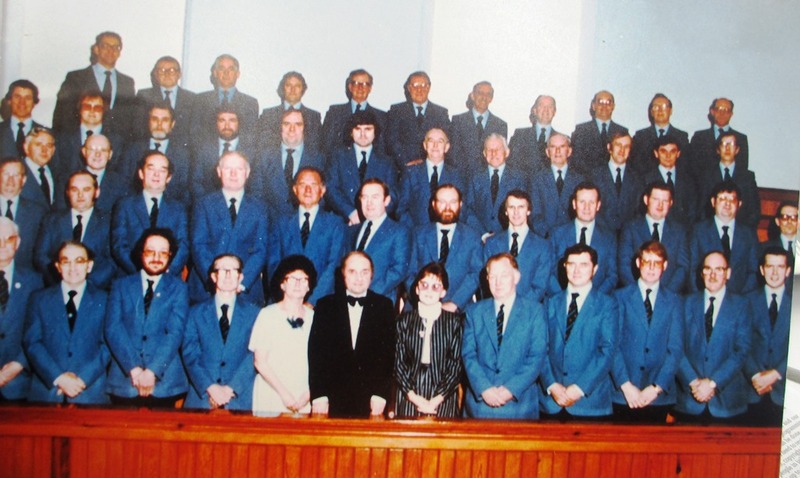 I hope the names and facts above are accurate, please advise me if they are wrong…I want to research the choirs progress from 1997 to the present day and I will update this article once I have done that. 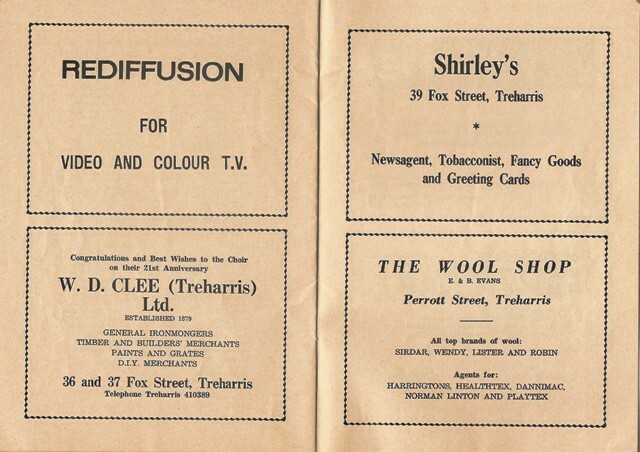 Mr William Phillips, a former member of the choir , sent me the following programme from a concert performed in Treharris during 1982.